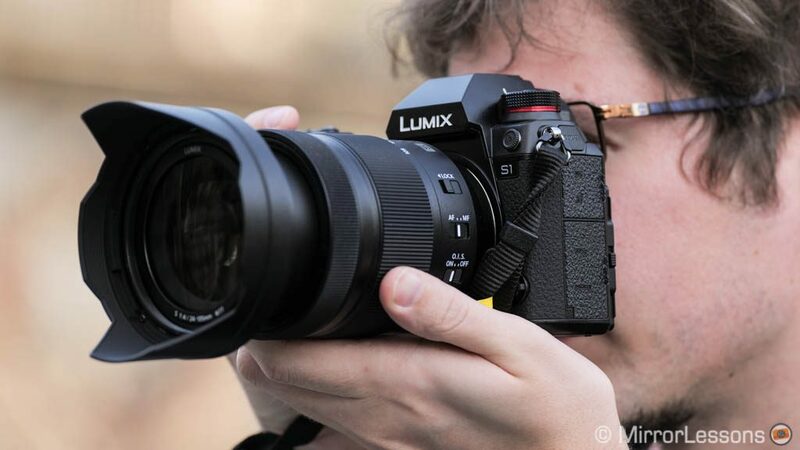 After teasing the two cameras at Photokina last year, Panasonic has finally unveiled the full specifications of the Lumix S1 and S1R, the company’s first full-frame mirrorless cameras. 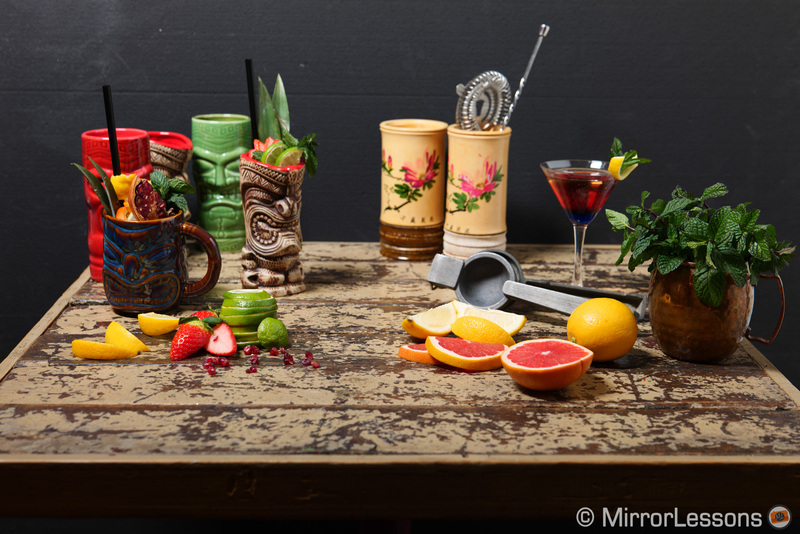 Packed with advanced features for stills and video, they enter a very crowded market with their heads held high. There are numerous products that we could compare them with, but it makes sense to start talking about these two models first. They have much in common, but there are also a few key differences that set them apart. 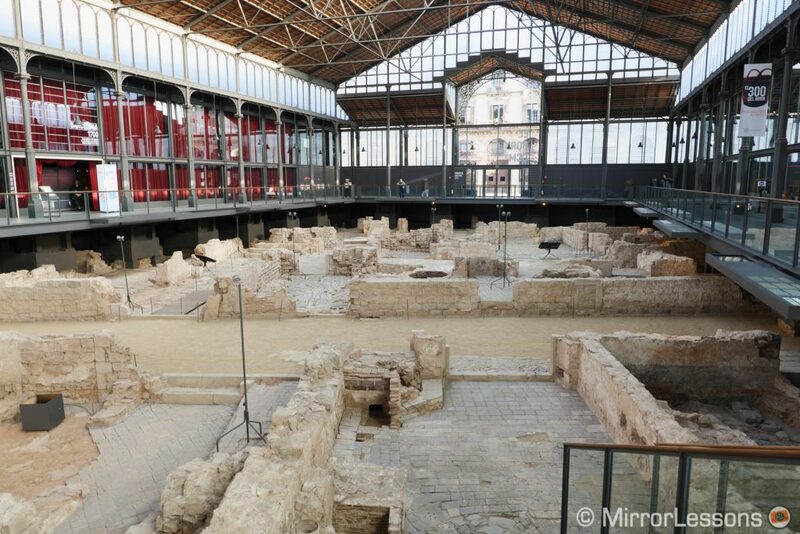 Since we had the chance to use them at the launch event in Barcelona, we decided to go beyond the format of our default comparison previews and offer you a more complete overview of our experience. 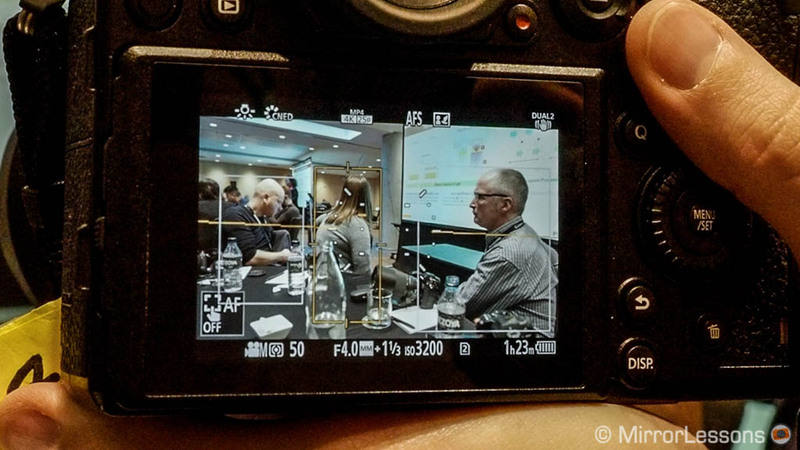 Ethics statement: we used pre-production S1 and S1R samples at the press event in Spain. This means that the specifications, settings and performance may vary once the finalised products hit the shelves. Please consider this report a “first impressions” rather than a final verdict. Within the article, there are affiliate links. If you buy something after clicking one of these links, we will receive a small commission. To know more about our ethics, you can visit our full disclosure page. Thank you! 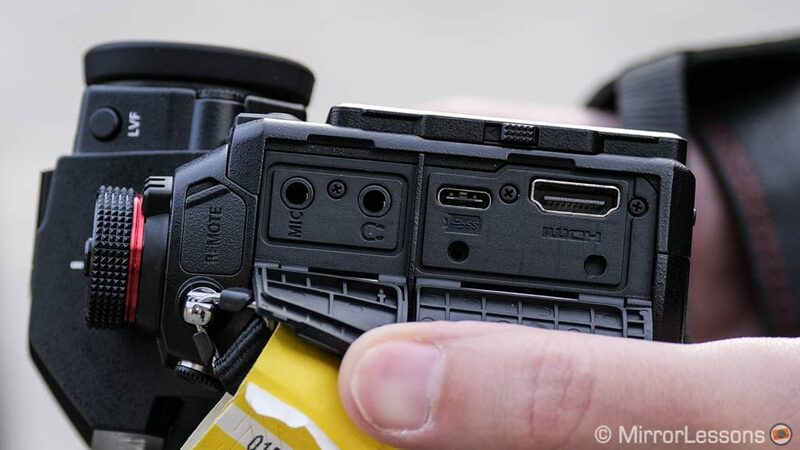 Given that there are more similarities than differences, I thought I would start by talking about our hands-on experience with the two cameras. At first glance, it is as if you’re looking at a G9 on steroids, or a G9 that swallowed up another G9. 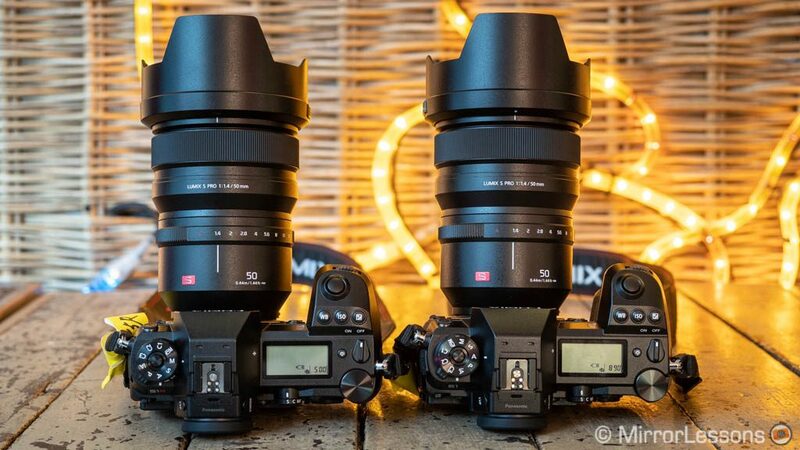 The S1 and S1R are large cameras – in fact they are the largest and heaviest in the full-frame mirrorless segment, except for perhaps the Leica SL. They share the same body specifications including full weather-sealing (splash, dust and freeze proof down to -10ºC). 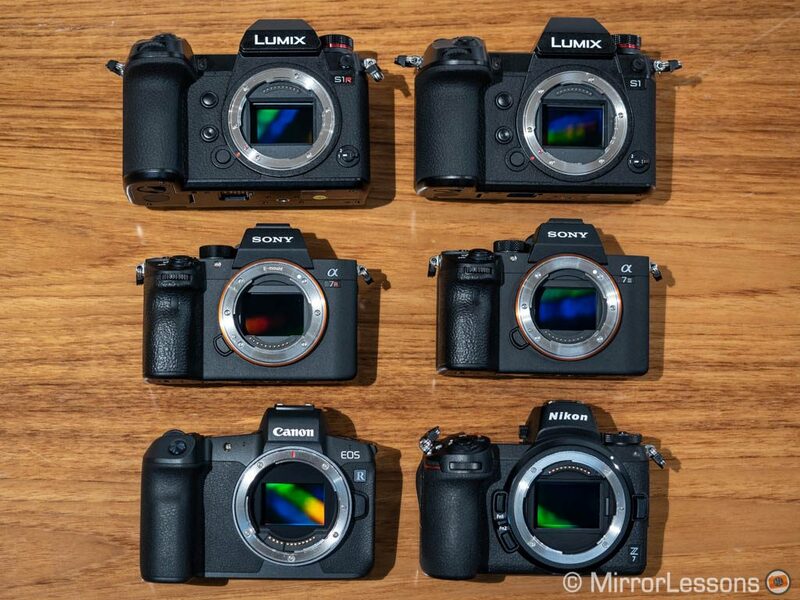 There is no question that they feel heavier than your average mirrorless camera, and that includes the Sony A7 and the Nikon Z series. I guess Panasonic decided to differentiate itself from the other brands by removing compactness from the equation. If we look at the first three lenses designed for the system, the large body starts to make even more sense – after all, they are anything but small. 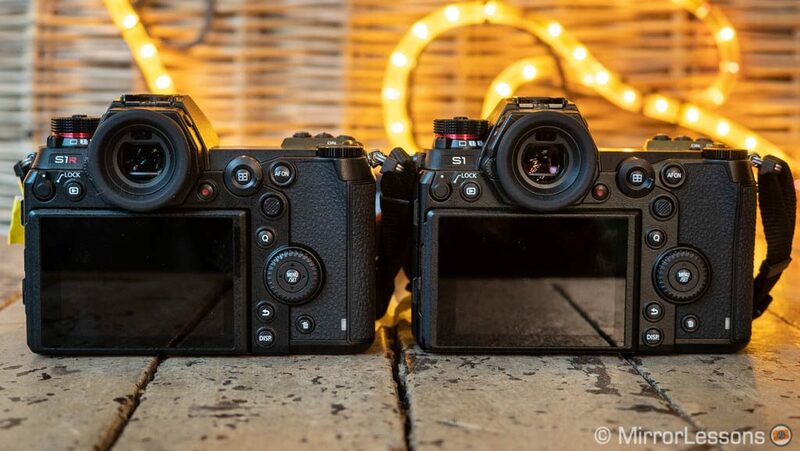 This difference in size and weight might also be able to help Panasonic further differentiate its two mirrorless systems. 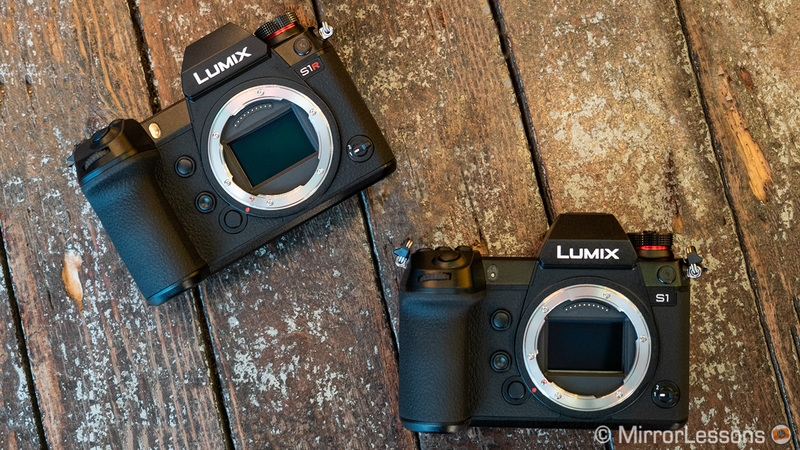 Micro Four Thirds would remain the best option in terms of weight and portability, whereas full-frame would prioritise quality. Personally I prefer the balance Nikon found with the Z6 and Z7. 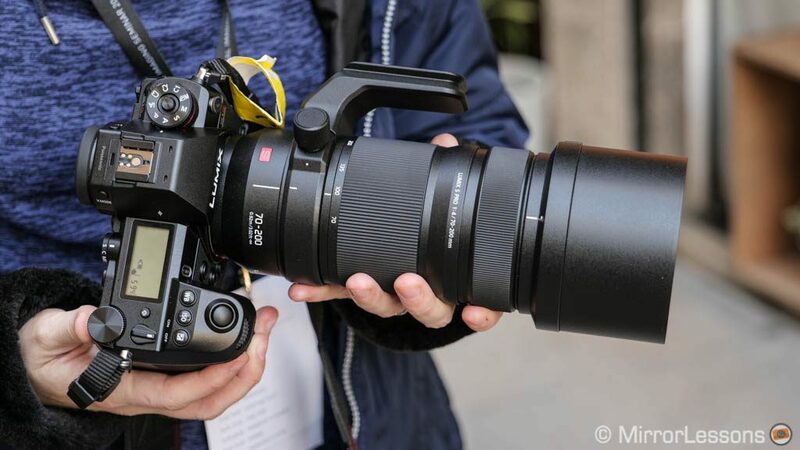 They’re not much bigger than the A7 III, yet they have a more comfortable grip. That being said, the S1 and S1R feel great in the hand. They are based on the design of the G9 (which is a very good thing) with a larger grip and some minor tweaks here and there. The buttons and dials are precise to use and the camera is very reactive to all commands, including the AF Joystick that moves in eight directions. Some of the buttons on the rear can be retro-illuminated when the backlight button is depressed, which is a very nice addition. The Quick menu has been re-designed and can memorise your recently used functions. The main menu system has been slightly re-organised and you’ll find many possibilities for customisation between the Q menu, My Menu, and the various function buttons and levers. The viewfinder has an impressive 5,670k OLED display with a maximum refresh rate of 120fps and a minimum lag of 5 milliseconds. The magnification can be adjusted between 0.78x, 0.74x and 0.7x. It’s a cracking EVF with very crisp details. The possibility to change magnification is great for someone like me who wears glasses. I also appreciated the rounded eye cap. The LCD monitor has an excellent resolution of 2.1M dots and is 3.2-inch large. It gave me a very good impression as far as brightness is concerned, even when using it in broad daylight. Touch sensitivity is very responsive. Just as with most Micro Four Thirds cameras, you can perform many actions such as creating custom AF groups or navigating through the menu. 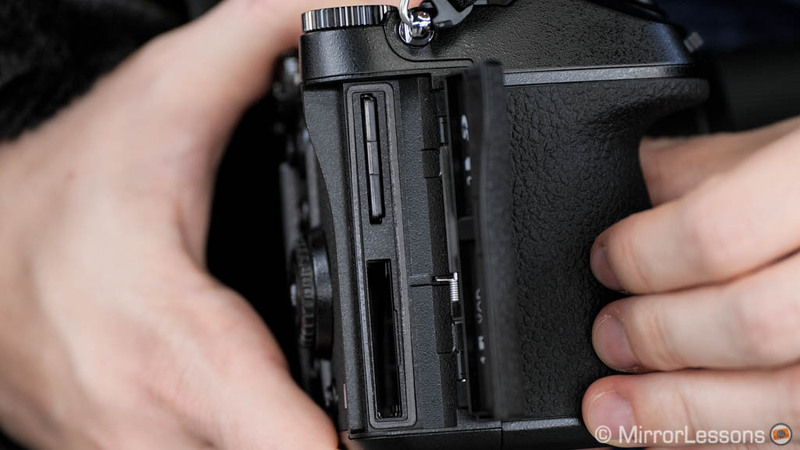 Panasonic opted for a three-way articulation solution just like that of the Fujifilm X-T2 and X-T3. 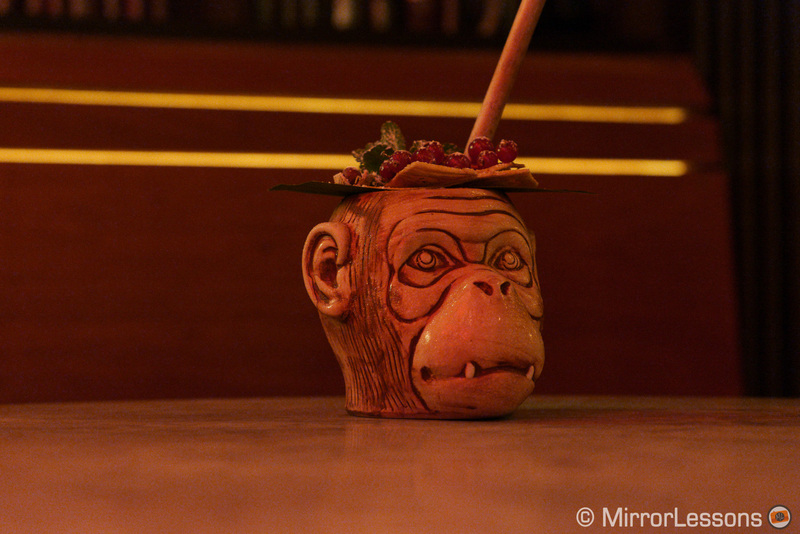 In addition to tilting it up and down, you can orient it to the right which becomes useful for portrait shots. 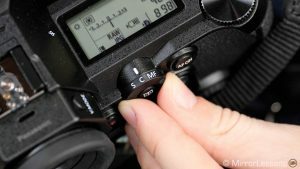 Video-makers might have preferred a multi-angle solution like the one found on the GH5 and GH5S however. The S1 and S1R have a dual memory card slot: one takes UHS-II SD cards whereas the other works with XQD cards (and will be compatible with CFexpress). Connections include a full-sized HDMI port, USB Type C port, 3.5mm audio in and out, and a 2.5mm remote input. 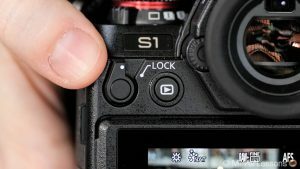 Panasonic has carried over its contrast-based Depth from Defocus autofocus technology to the S1 and S1R and while I’ve been skeptical about it in the past, the improvements seen on the GH5 and G9 helped me change my mind. The two cameras use a maximum of 225 areas, and have a readout speed of 480fps and a focus acquisition speed of 0.008s. Out of the box, the AF performance feels very similar to the latest Lumix Micro Four Thirds cameras. They are very fast in S-AF and C-AF. There are various settings to control speed and responsiveness (for stills and video) depending on the subject you’re tracking. The camera had no problem focusing right away on the glass using a small single point. One new feature is what Panasonic calls Advanced Artificial Technology. The cameras can detect not only faces and eyes, but also human bodies and animals such as cats, dogs and birds. AI is becoming the new thing that many brands are investing in. For example, the Olympus E-M1X has similar capabilities and Sony recently introduced EyeAF for animals. We only had time to try this on human beings and I was surprised by how easily the cameras detects people, even those who do not occupy a large portion of the frame. When a subject is detected, a rectangle appears around him or her. If it detects more than one, you can tell the camera which one to prioritise by pressing the AF Joystick. The same technique can be used to go from one face to another, or to switch from the left to the right eye of a subject, which is really easy to do. The S1 detects the three people in the scene, even though the person in the middle has her back turned to me. 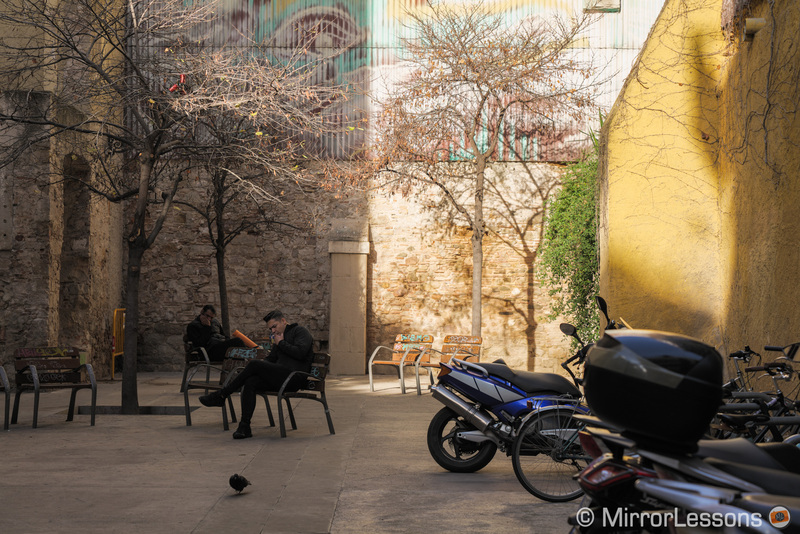 Face and eye detected on the main subject, plus the two people walking in the background. Face detection seems to work quite well, even when the person moves or looks away from you. People are detected even when sitting down, when only half the body is in the frame or when facing away from you. 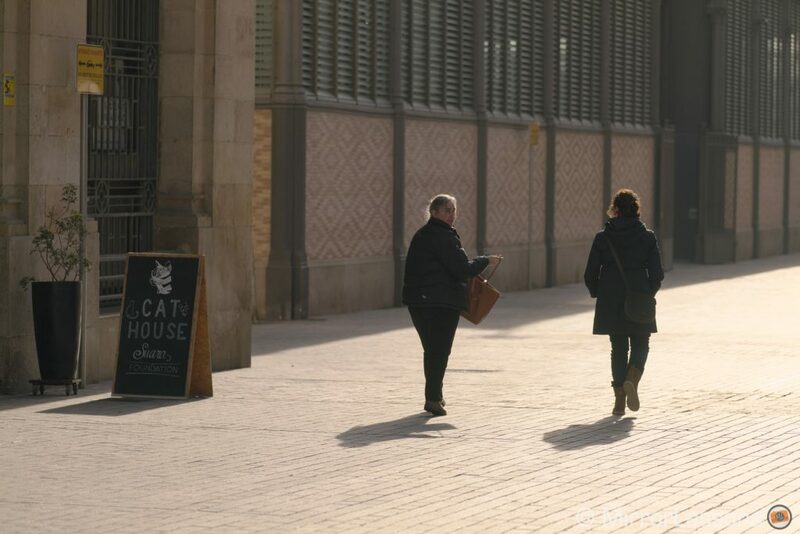 However when too many subjects are detected in the scene, the camera jumps from one to the other more than necessary, especially if your main subject is moving. I’ve noticed this especially when recording 4K video. Even if you use the joystick to tell the camera which one to follow, it doesn’t always obey. 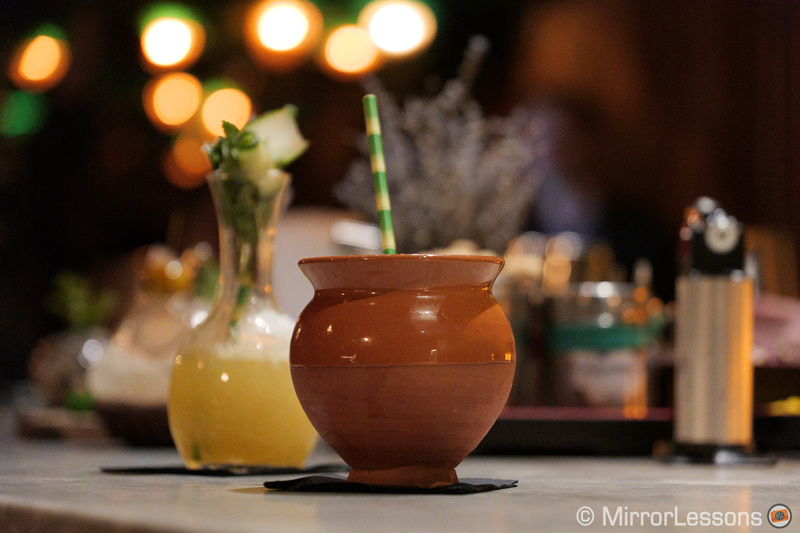 Another thing I noticed is that focus can struggle in low-light situations. To be fair, I had an f/4 zoom mounted most of the time, but still, the camera is rated at -6Ev with an f/1.4 lens, which translates into a decent -3Ev at f/4. 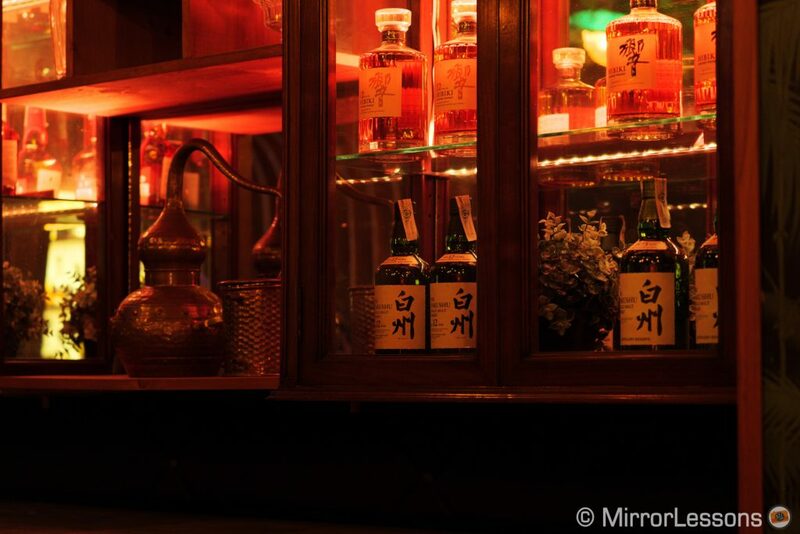 If the subject doesn’t display enough contrast or if there are intense lights in the background, the camera fails to focus quite a lot, especially if face detection is activated. I’ll give it the benefit of the doubt since we used pre-production models without the final firmware. Both the S1 and S1R have 5-axis stabilisation with a rating of 5.5Ev, or 6Ev if you use a lens with optical stabilisation (Dual IS). Heather managed sharp shots down to 0.5s and 70mm with the S1R, whereas I got good results at the same speed with the S1 at 24mm. For video, Dual IS seems to do a decent job when walking or circling around a subject. You can also add electronic stabilisation which crops the field of view a little. Panasonic also added a new feature called I.S. Status Scope. 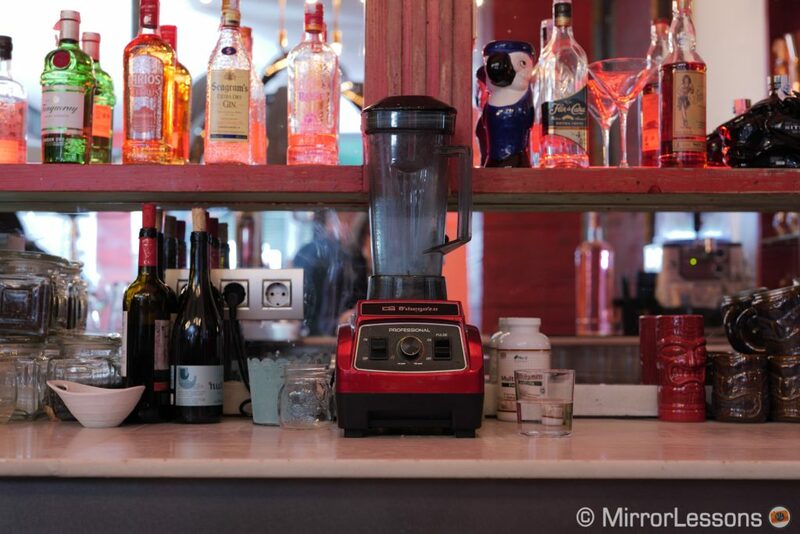 It displays a graphic that tells the photographer what the shake condition is, and remains active while you take the shot. So if you’re trying to do a long exposure hand-held (one second or more), you can see more easily if you are stable enough or not. Despite the good IBIS performance, I noticed some motion blur in more than one image shot at around 1/50s with both cameras, and I suspect this could be the result of shutter shock. I really hope this won’t be a problem with the final production cameras. Otherwise, the electronic first curtain shutter will be necessary to avoid it. Speaking of the shutter, in addition to the electronic option, the mechanical shutter goes up to 1/8000s (1/320s with flash) and has been tested for 400,000 actuations. 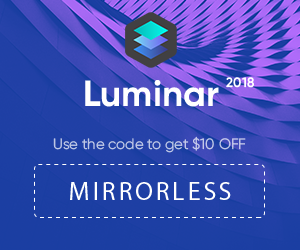 new Lumix Sync app to connect your mobile device. Now, as promised, let’s move on to the ten main differences! 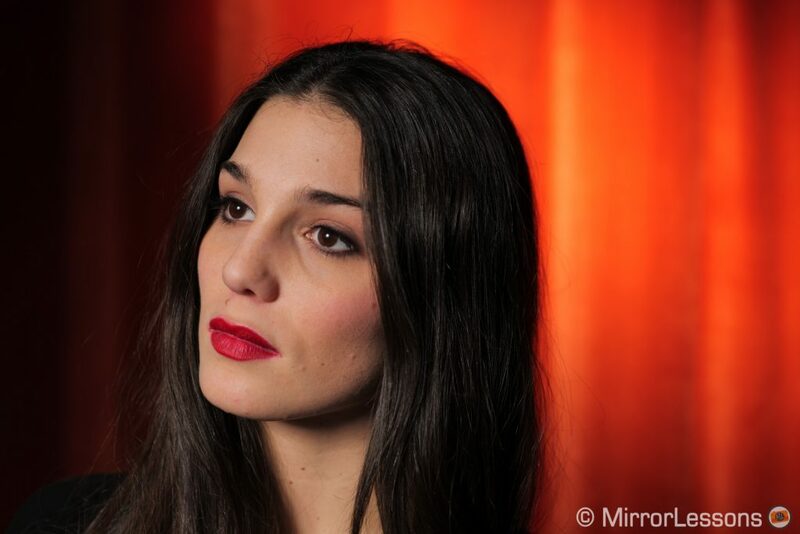 Both cameras use a 35mm format sensor but the resolution is different. The S1 has 24.2MP whereas the S1R has 47.3MP. The latter is the highest of all full-frame mirrorless cameras, although it differs very little from the A7R II (42MP) and Z7 (45MP). The two sensors feature a new aspherical design for the on-chip micro lenses. Their electric circuits are designed to maximise light efficiency. Both sensors lack a low-pass filter to improve detail rendering. The two models also use a new version of the Venus Engine image processor. It is still too early to judge image quality adequately since we are dealing with pre-production samples. Besides none of my photo editing software applications can open the RAW files. Panasonic gave us a beta copy of Silkypix Studio 8 which is enough to formulate an idea of the potential but I won’t pass judgement until I take additional images with a full production sample and edit the images using my usual workflow. Given the difference in resolution, it isn’t surprising to find two separate ISO sensitivity ranges. 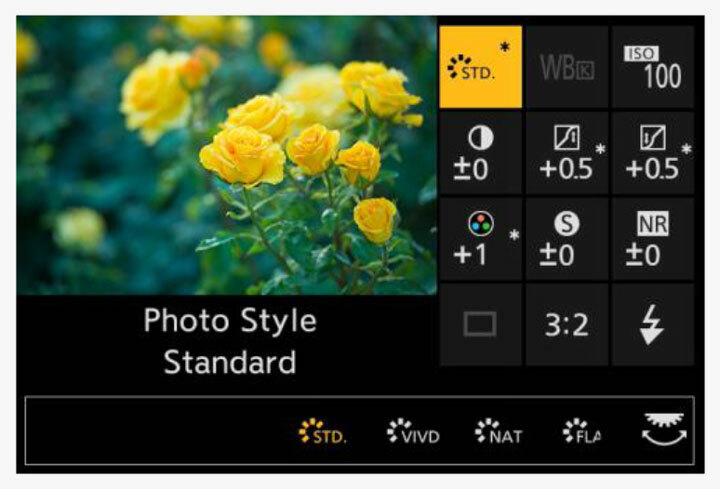 The S1 can go up to 51200 ISO, or ISO 204800 with the extended values. The S1R’s normal range ends one stop below at ISO 25600, and can be pushed up to 51200. 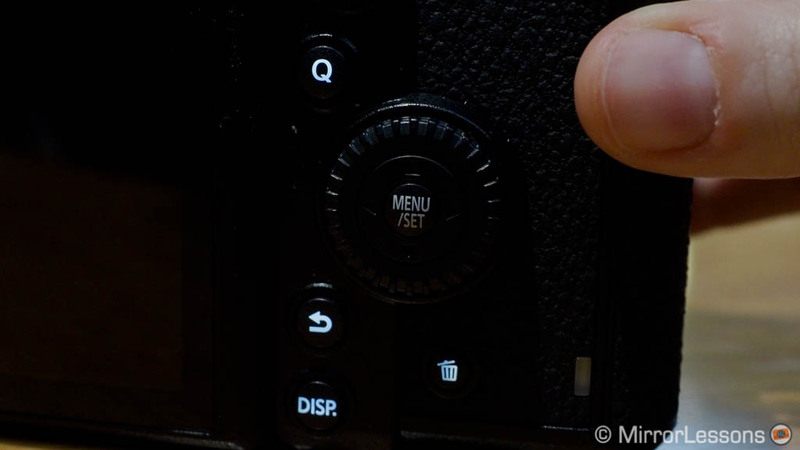 Both cameras start from ISO 100 with pull values down to ISO 50. We took various high ISO samples and what I noticed right away is that the default Noise Reduction value (0, which can be changed in each Photo Style) is quite aggressive on the SOOC JPGs. Once again, these results are from a pre-production sample, so hopefully this will be fixed in the final firmware. When looking at the RAW files however, things certainly get better. The S1 is very smooth and the S1R seems to perform quite well up to 12800 ISO despite the higher resolution. There seems to be quite a lot of room to work with noise reduction without sacrificing details or colours. Silkypix 8 Beta still isn’t finalised so I can’t wait to start playing with these RAW files in Lightroom. 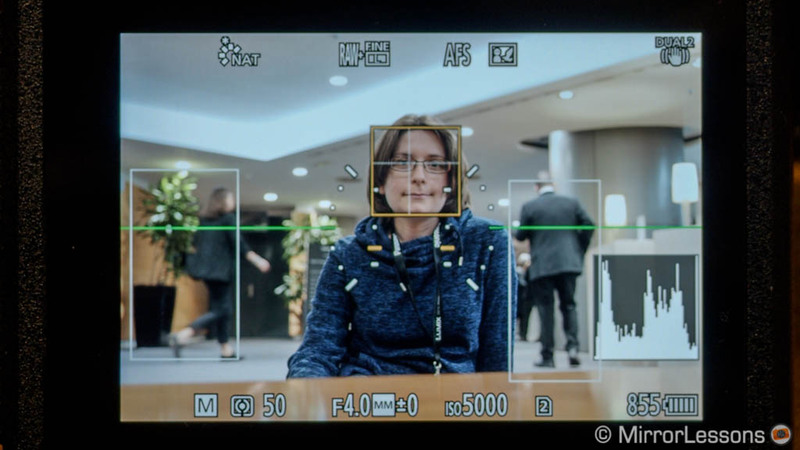 The sensor shift technology inside the two cameras doesn’t just work for image stabilisation – it also allows you to create an image with more resolution than the native sensor. Similar to the HRS mode of Olympus cameras and also the G9, the cameras take 8 consecutive shots by moving the sensor by one pixel. 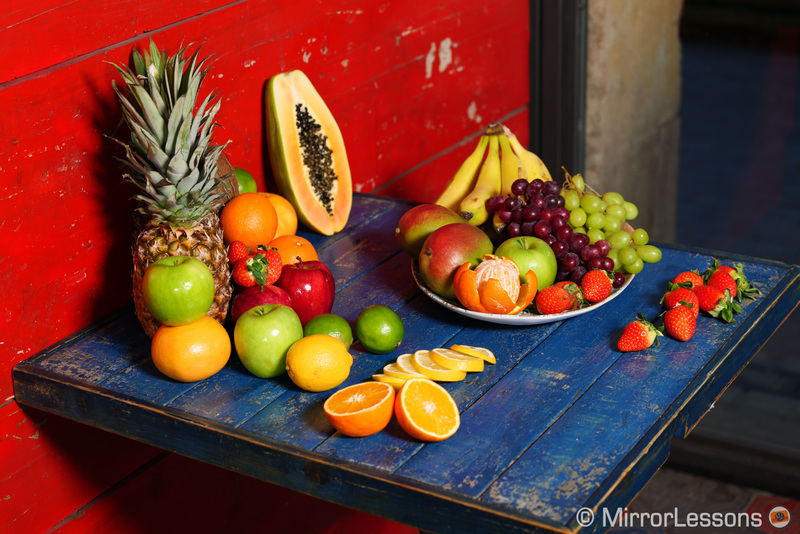 The eight images are then composited to create a final output of 96MP for the S1, and an impressive 187MP for the S1R. This works for both JPGs and RAW files, and a single frame at normal resolution can be saved. We took samples with both cameras and the level of detail is quite impressive. The camera is quick to create the final composite as well. Because each point on your screen is captured by all the Red, Green and Blue pixels (as opposed to one colour channel per point in normal mode), you get more accurate colour reproduction too. Unfortunately I am not allowed to upload a full resolution image or show you a 1:1 crop. 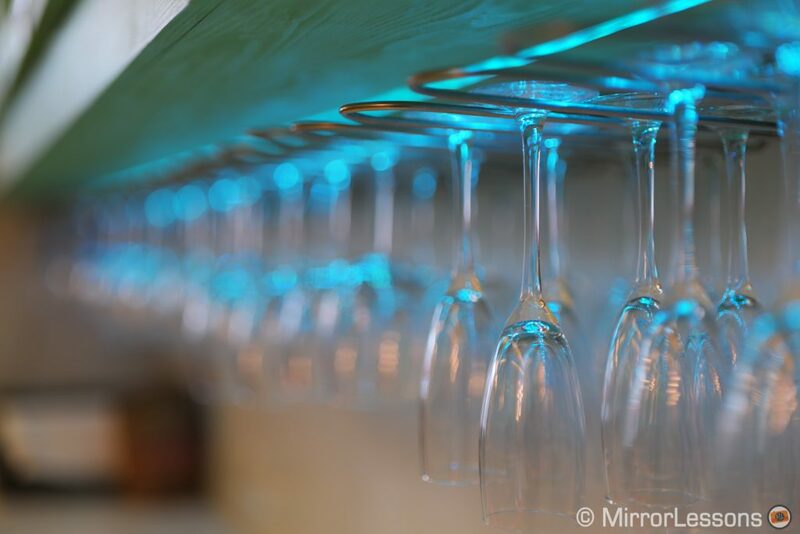 This mode is strictly limited to tripod use and works best with non-moving elements, otherwise a lack of sharpness and even artefacts can appear in your image. I also noticed that details can easily end up looking soft at such a high resolution if the camera isn’t perfectly still. Even someone walking past the camera (which happened a lot during the event) can cause micro vibrations so this is something to watch out for. 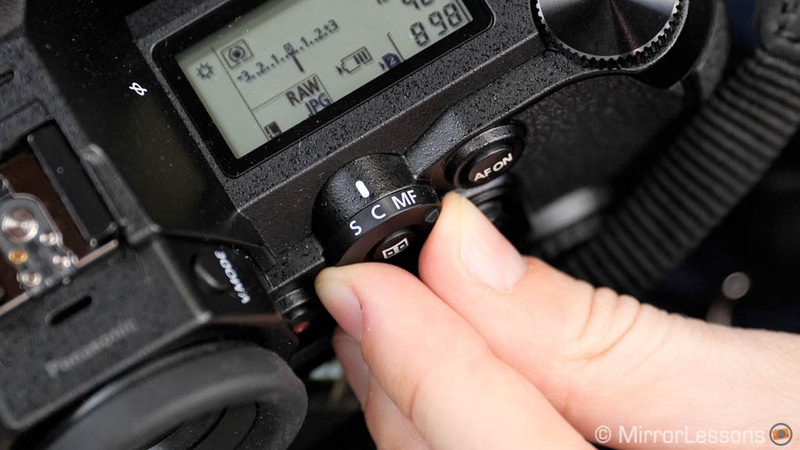 You can set a delay when pressing the shutter release button to reduce unnecessary movements. When the HR mode is set on the camera, you can choose between Mode 1 and Mode 2. The latter is said to suppress motion blur of small moving elements such as leaves on a tree. That portion of the image will have less resolution however. The S1 and S1R can record 4K up to 60fps (50fps in PAL) and 150Mbps, which is a first for a 35mm format camera. The S1 has less resolution and can do full pixel readout (oversampling) using the entire width of the sensor up to 30p (100Mbps). At 50/60p there is an APS-C sized crop. The S1R allows you to choose between full frame (1.1x crop), APS-C (1.5x) and a Pixel to Pixel mode that is close to a 2x crop. The APS-C and Pixel to Pixel crop work with full pixel readout. We recorded several 4K clips during the day and the quality seems to be very high in the case of both cameras. 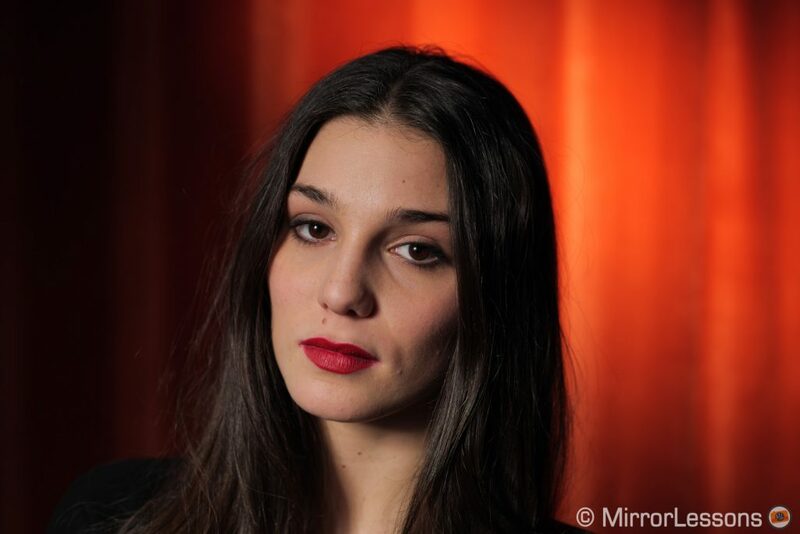 Actually the S1R surprised me because the quality with the 1.1x crop is really good. I guess very fine details at a distance may trigger some aliasing or moirè but the footage seems perfectly usable. At high ISOs, the S1 looks fine even at 6400 or 12800 ISO with non-invasive noise. The S1R suffers more as expected, at least in 1.1x crop mode. In 1080p, both cameras can record up to 180fps for a nice slow motion result, although a crop is applied here as well. When using the High Frame Rate mode, sound isn’t recorded as the slow motion footage is already conformed in-camera. As of now, the two cameras record 4K and 1080p in 8-bit 4:2:0 internally, or 8-bit 4:2:2 via HDMI output. These specifications will remain the same for the S1R. The S1 on the other hand will receive a firmware update that unlocks 10-bit 4:2:2 to the memory card (up to 30p) or an external recorder via the HDMI port (up to 60p). 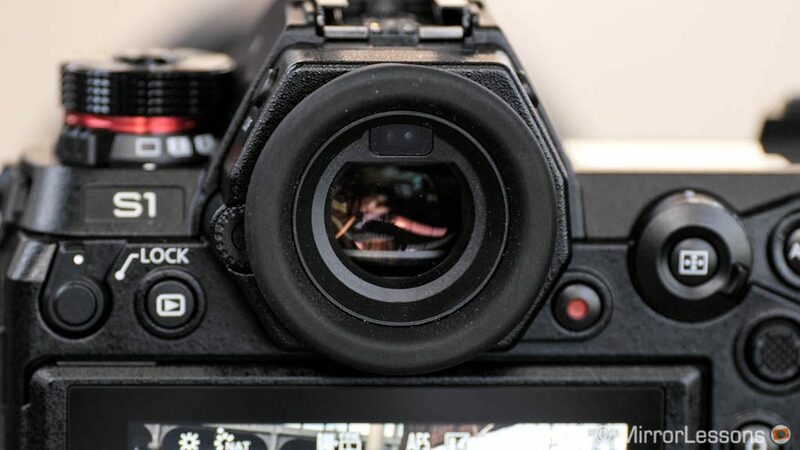 Again this will be a world’s first for a full-frame camera, unless a competitor comes up with something similar first. The time frame for the firmware release hasn’t yet been disclosed but it should be within 2019. It will be a paid upgrade unfortunately. The S1 can record 4K 50/60p up to 30 minutes per clip, but 4K at 24/25/30p and Full HD recording are unlimited. For the S1R, the maximum duration is 15 minutes in 50/60p, 30 minutes in 4K/30p and unlimited in 1080p. When recording in slow motion (4K or 1080p), the maximum is 15 minutes. 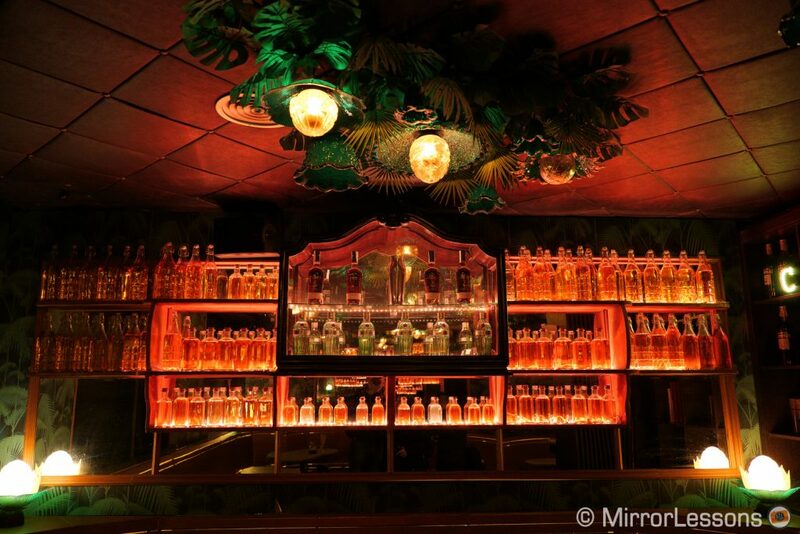 The cameras share many Photo Styles (colour profiles) including the new Flat mode which can be used for the SOOC JPGs or Video. The S1 has more options for movies including Cine-Like D and V, V-Log (coming via firmware) and HLG (Hybrid Log Gamma) which is recorded in HEVC (H265) at 10-bit 4:2:0 and 75Mbps. HLG is an international standard (ITU-R BT.2100) HDR format used in broadcast and with compatible equipment such as HDR TVs. There is a second HDR option that is found on the two products, which is the HDR Photo Mode. The cameras record a HSP file that contains 10 bits of information, making it superior to the standard JPG. For now it seems that no software can open it yet, and as for video, it makes sense to display it on compatible HDR products. However if this standard becomes more widespread in the future, it could be an interesting alternative to Straight Out of Camera JPGs. Overall I really liked the colour rendering of the two cameras, for both the SOOC JPG files and 4K footage. The colours appear balanced and natural. Skin tones are also well-reproduced even under tricky artificial light sources. Both cameras can shoot up to 9fps, or 6fps with continuous AF and live view. Despite the higher resolution, the S1R has the same capabilities as the S1 (or we could say: despite the lower resolution, the S1 doesn’t outperform the S1R in terms of burst speed). The R model doesn’t have as deep a buffer however: it can take around 40 RAW files or 50 JPGs at full speed, whereas the S1 manages 90 RAW files and almost unlimited JPGs (official specifications). 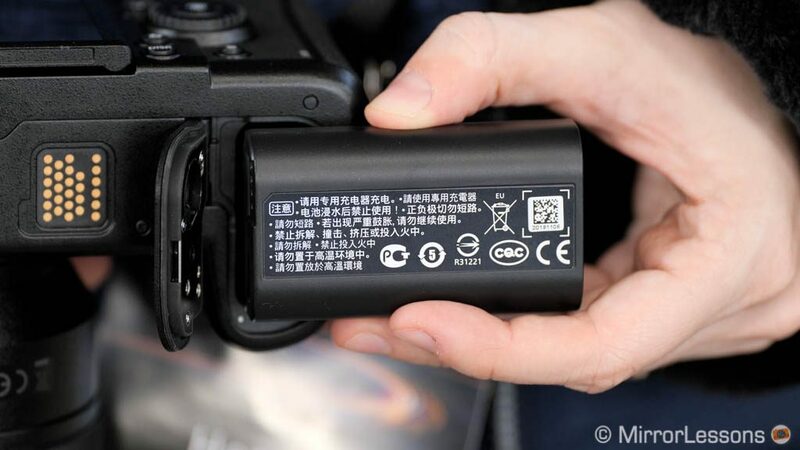 Both cameras use a newly designed battery (7.4V, 3050mAh, 23Wh). They can be charged via USB, even when turned on. The official CIPA rating gives a slight edge to the S1 which can record 400 frames versus 380 frames on the S1R. The specifications drop by 20 shots respectively when using an XQD card. However Panasonic states that the battery life can be improved (more than doubled in fact) with the Power Save LVF mode. Heather and I used one camera each and the battery didn’t run out during the five hours we were using cameras, and we were taking a mix of stills and video. What’s more, Heather’s battery was already half empty when she started using it. So in short, they don’t seem to perform too badly in the real world. Last but not least, we have the price and as you can expect there is a big gap. The S1 starts at a retail price of $2500 / £2200 / €2500. The S1R is more expensive at $3700 / £3400 / €3800. These prices are for the body only. 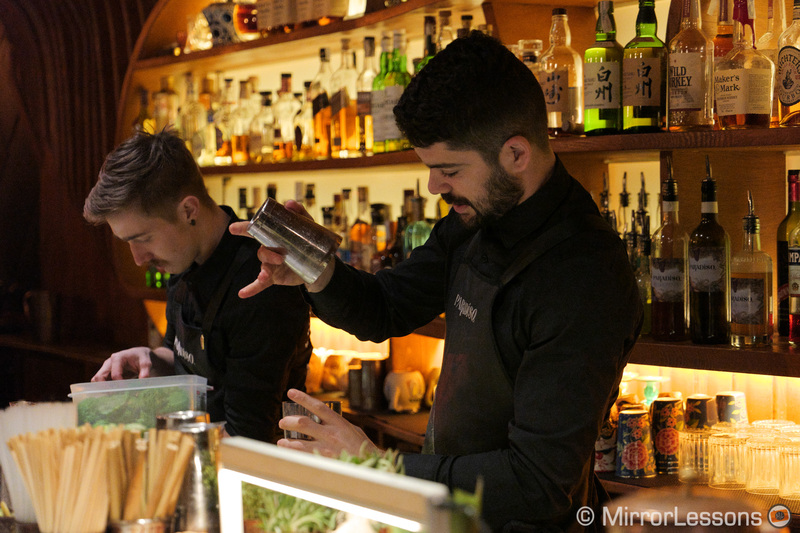 The Lumix S1 and S1R left me with a positive impression overall. They seem capable of delivering excellent performance when it comes to image and video quality. I particularly appreciated the colour rendering of the two sensors and the various picture profiles. 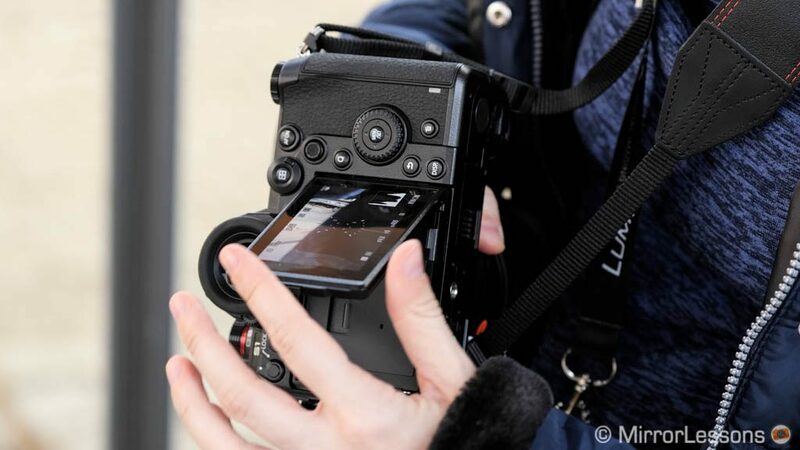 Image stabilisation also looks promising and they are packed with lots of extra features, which is what we’ve come to expect from Lumix cameras. 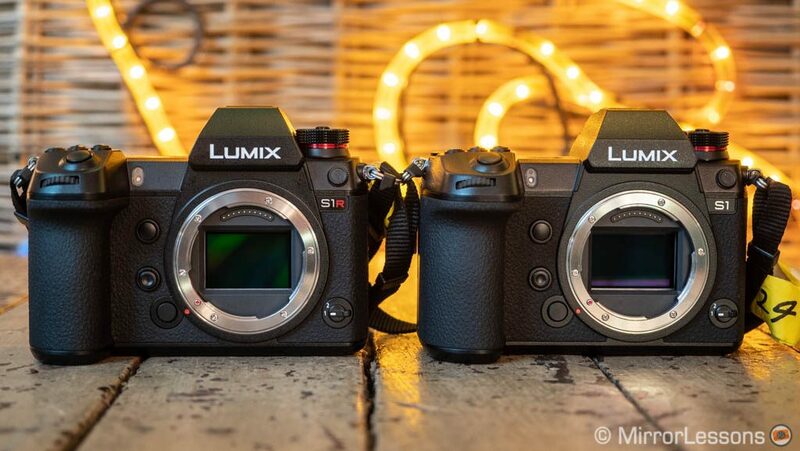 The S1 and S1R are certainly bigger and heavier than most mirrorless cameras released thus far. They’ll probably never win me over 100% because of that – too many years of reviewing portable mirrorless cameras has made me lazy (!) 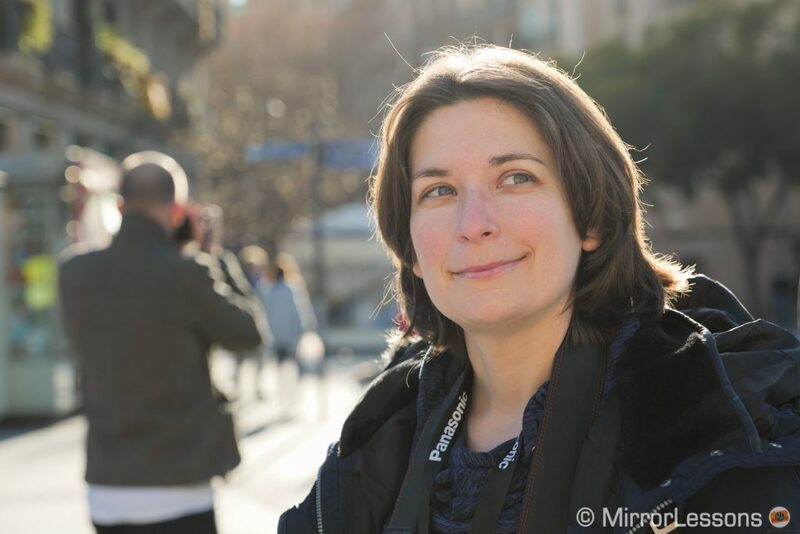 – but I definitely recognise the benefit of a large grip, especially when using heavy lenses. 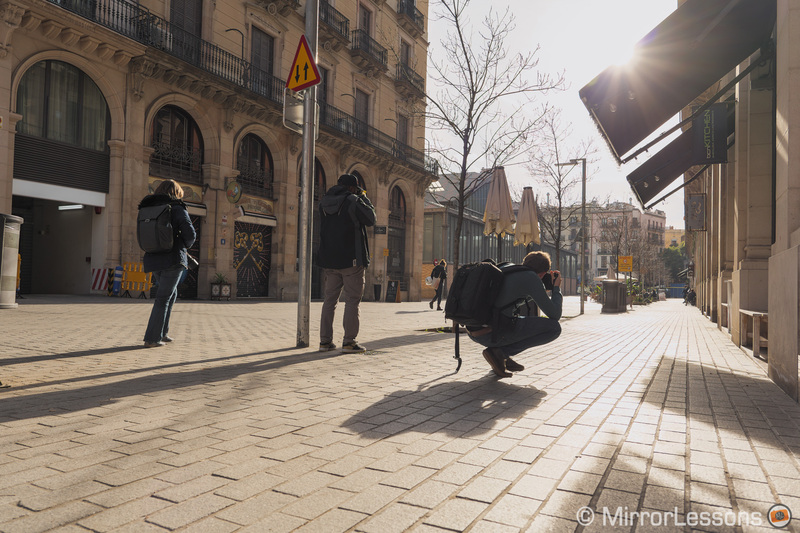 The ease of use of the two cameras is probably Panasonic’s best achievement, at least from what I saw after half a day of shooting on the streets of Barcelona. 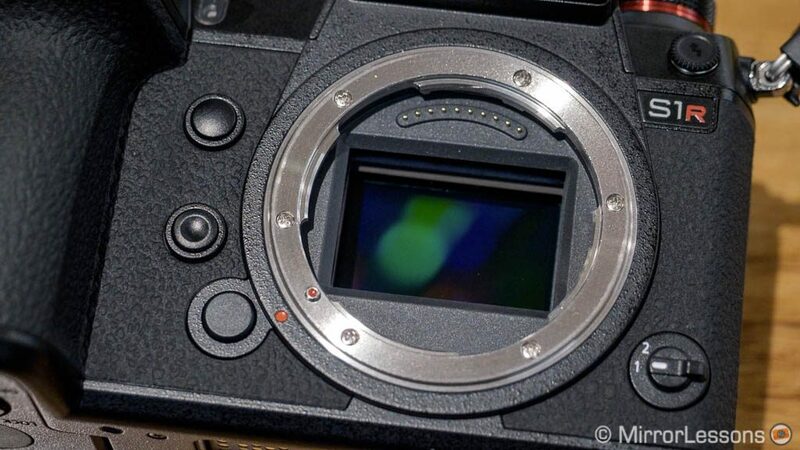 The biggest question mark for now is the autofocus. It is good but I do wonder if DfD will pose some limitations. It can be lightning fast but seems to struggle in low light, or when it detects too many subjects (especially in video mode). I hope that the final firmware will offer a better calibration. There are also various settings to control the AF behaviour. I didn’t have time to test all the various combinations, so I’m looking forward to spending some quality time with these products once they hit the market. To conclude, a word about the system itself. The mount, which is the L-mount licensed by Leica (the same as the SL system), is at the base of the Panasonic-Leica-Sigma alliance, which looks great on paper. 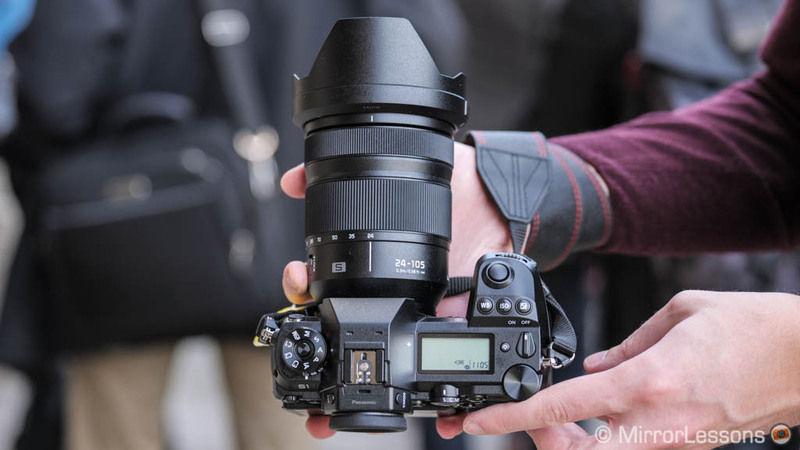 Alongside the S1 and S1R, Panasonic has introduced three lenses: a 24-105mm f/4 OIS, a 70-200mm f/4 OIS and a 50mm f/1.4. The last two have been designed in partnership with Leica and have the red Pro badge. The SL lenses from the German brand are already on the market and are fully compatible. 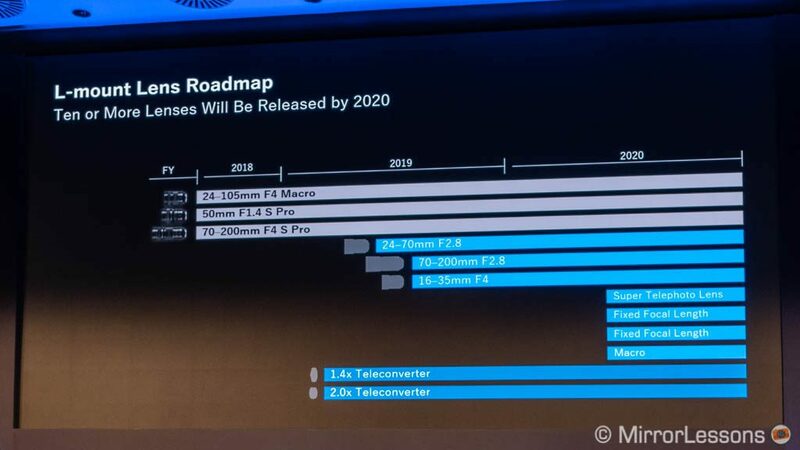 Panasonic promises 10 lenses by the end of 2020 and Sigma is set to release 14 lenses this year, plus a mount converter. 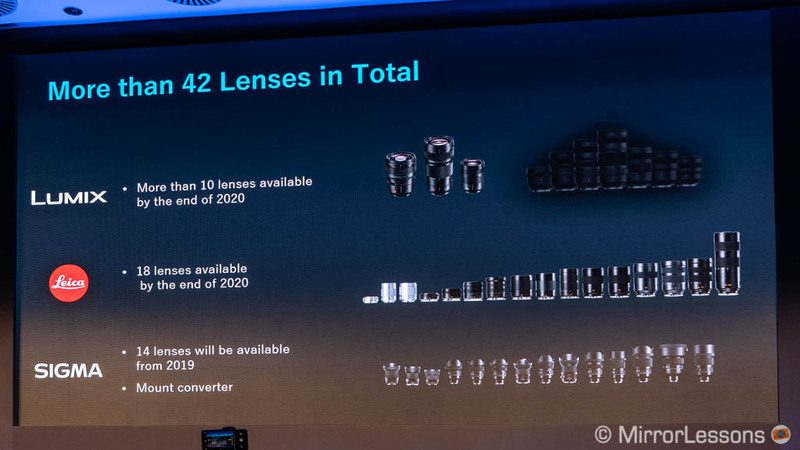 This means that in a short period of time, the L system will boast a selection of no fewer than 42 lenses. However, let’s return to reality for a second. 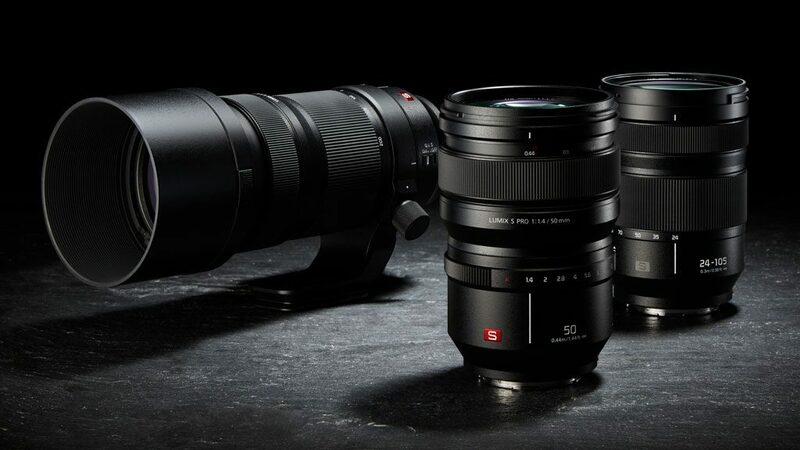 The SL lenses might have outstanding optical performance, but they are too expensive for the kind of users the S series aims to attract. The three Panasonic lenses I tested look good (I like that 70-200mm) but the 50mm 1.4 comes at a prohibitive price of $2300. 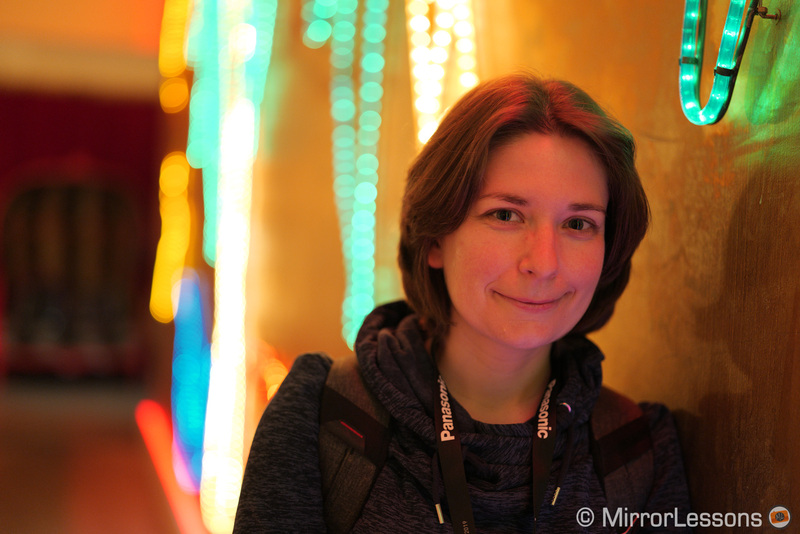 The quality looks exceptional but not even the 50mm 1.4 from Sony/Zeiss is that expensive. I hope that the next primes on the roadmap are more reasonable. For now, I see Sigma as the key player in all this. It is likely that they will start by converting their existing products rather than designing brand new lenses, but their unrivalled quality/price ratio will make the system more affordable and attractive. And that in my opinion is very important for its success.